CruiseBe provides its users with a unified travel platform that helps travelers to plan their vacation and explore all cruise components (from ship or cabin to landmark at the port of call) using various services (e.g. unique blogs or indoor navigation onboard) on one website, via the CruiseBe website and domain name offered from time to time (collectively, the “Website”) and/or the CruiseBe mobile application, if offered from time to time (the “Application” and together with the Website, the “CruiseBe Service”). The CruiseBe Service is owned and operated by CruiseBe Inc., a Delaware corporation (“CruiseBe”, “we” or “us”). Your use of the CruiseBe Service is subject to the terms and conditions set forth in these Terms of Service (the “Terms of Service”). PLEASE READ THE TERMS OF SERVICE CAREFULLY. BY ACCESSING OR USING ANY PART OF THE CRUISEBE SERVICE, YOU ACKNOWLEDGE THAT YOU HAVE READ, UNDERSTAND AND AGREE TO BE BOUND TO ALL THE TERMS OF THE TERMS OF SERVICE. IF YOU DO NOT AGREE TO THESE TERMS OF SERVICE, EXIT THIS PAGE AND DO NOT ACCESS OR USE THE CRUISEBE SERVICE. USE OF THE CRUISEBE SERVICE IS EXPRESSLY CONDITIONED UPON YOUR ACCEPTANCE OF THE TERMS OF SERVICE. THE CRUISEBE SERVICE COMPRISES AN ONLINE PLATFORM THROUGH WHICH INDIVIDUALS MAY SEARCH AND BOOK VARIOUS TRAVEL SERVICES LISTINGS FROM THIRD-PARTY SERVICE PROVIDERS. YOU UNDERSTAND AND AGREE THAT CRUISEBE IS NOT A PARTY TO ANY AGREEMENTS ENTERED INTO BETWEEN AN INDIVIDUAL AND THIRD-PARTY SERVICE PROVIDERS, NOR IS CRUISEBE A BROKER, AGENT OR INSURER. CRUISEBE HAS NO CONTROL OVER THE CONDUCT OF INDIVIDUALS OR THIRD-PARTY SERVICE PROVIDERS, GUESTS AND OTHER USERS OF CRUISEBE SERVICE OR ANY TRAVEL SERVICES, AND DISCLAIMS ALL LIABILITY IN THIS REGARD TO THE MAXIMUM EXTENT PERMITTED BY LAW. The CruiseBe Service is meant for those at least thirteen (13) years of age. Use of the CruiseBe Service by anyone under the age of 13 is a violation of the Terms of Service. If you are under the age of 18 (or the applicable age of consent in your jurisdiction), you represent that you have the consent of a parent or legal guardian to use and access the CruiseBe Service. CruiseBe will not interfere with your bookings and purchases. However, we reserve the right to cancel or not process a booking or a purchase because of certain extenuating circumstances (e.g. booking is not available or we have a reasonable cause to suspect that booking order may be false). We show information, content about services, objects owned by third-parties but we do not suggest, endorse, recommend, approve of any information or services. However, individuals have the ability to rate, review or recommend the products based on their own experience using services (e.g., reviews, comments, blogs, etc.). We are not responsible for any information, accuracy of such information that is provided by Users, third-parties, affiliates, APIs, GDS, iframes and displays on the CruiseBe Service. CruiseBe recommends travel insurance as a way to cover your investment in the case of unexpected or unforeseen circumstances that may cause you to cancel or delay your plans. Unless a charge is indicated for insurance, you have declined coverage. Unless a charge is indicated, you did not choose to purchase airfare from CruiseBe. Unless a charge is indicated on your receipt, you did not choose to purchase transfers with a reservation. Additionally, unless a charge is indicated above, you did not choose to purchase pre- or post- cruise hotels with a reservation. Subject to cruise line published fare code restrictions. If you are not certain of the restrictions regarding the fare code booked, please contact us for a complete detailed description. Fees may be imposed including but not limited to cancellation, add-ons, or reduction of services and/or price adjustments. 4. Intellectual Property. You acknowledge that all materials on the CruiseBe Service, including the Website design, Application design, graphics, text, sounds, pictures, and other files and the selection and arrangement thereof (collectively, “Materials”), are the property of CruiseBe and/or its licensors, and are subject to and protected by United States and international copyright and other intellectual property laws and rights. All rights to Materials not expressly granted in these Terms of Service are reserved to their respective copyright owners. CruiseBe authorizes you to view, download and/or print the Materials only for personal, non-commercial use, provided that you keep intact all copyright and other proprietary notices contained in the original Materials. Except as expressly authorized by the Terms of Service, you may not copy, reproduce, distribute, republish, download, perform, display, post, transmit, scrape, copy, exploit, create derivative works or otherwise use any of the Materials in any form or by any means, without the prior written authorization of CruiseBe or the respective copyright owner. In an absence of a written agreement, you may not modify or adapt the Materials in any way or otherwise use them for any public or commercial purposes. The trademarks, service marks, trade names, trade dress and logos (collectively, “Marks”) contained or described at the CruiseBe Service are the sole property of CruiseBe and/or its licensors and may not be copied, altered or otherwise used, in whole or in part, without the prior written authorization of CruiseBe and/or its licensors. CruiseBe reserves the right to enforce its intellectual property rights to the fullest extent of the law. For the avoidance of doubt, your use of the CruiseBe Service is solely and exclusively under the limited license granted herein and you will not obtain any ownership interest therein through the Terms of Service or otherwise. All trademarks, service marks, trade names, domain names, slogans, logos, and other indicia of origin that appear on or in connection with any aspect of the CruiseBe Service are either the property of CruiseBe, its affiliates or licensors. CruiseBe retains the right to rescind and terminate the limited license granted hereunder at any point, for any reason. All rights not expressly granted herein by CruiseBe to you are fully reserved by CruiseBe, its advertisers and licensors. Some of the company and product names, logos, brands, and other trademarks featured or referred to within the CruiseBe Service may not be owned by us, and are the property of their respective trademark holders. These trademark holders are not affiliated with, nor do they sponsor or endorse, CruiseBe, Inc., the CruiseBe Service, our products and services, the Website and/or the Application. 5. Third Party Sites. Links provided via the CruiseBe Service to third party websites and services are provided only as a convenience. If you use these links, you may leave the CruiseBe Service. CruiseBe does not control nor endorse any such third party websites. You agree that the CruiseBe Parties, as defined below, will not be responsible or liable for any content, goods or services provided by such third party websites or for your use or inability to use such third party websites. You will use such links at your own risk. Your interactions with organizations and/or individuals found on or through the CruiseBe Service, including payment and delivery of goods or services, and any other terms, conditions, warranties or representations associated with such dealings, are solely between you and such organizations and/or individuals. You are advised that other websites on the Internet, including third party websites linked from the CruiseBe Service, might contain material or information: that some people may find offensive or inappropriate; that is inaccurate, untrue, misleading or deceptive; or that is defamatory, libelous, infringing of others’ rights or otherwise unlawful. CruiseBe expressly disclaims any responsibility for the content, legality, decency or accuracy of any information, and for any products and services, that appear on any third party website. 6. Use of the CruiseBe Service. You may view Listings as an unregistered user of the CruiseBe Service but you will be required to establish an account in order to use the CruiseBe Service and/or take advantage of certain features. If so, you agree to: (a) provide true, accurate, current and complete information about yourself as prompted by the CruiseBe Service; and (b) as permitted, maintain and promptly update such information. If you provide any information that is false, inaccurate or outdated, or CruiseBe has reasonable grounds to suspect that such information is false, inaccurate or outdated, CruiseBe has the right to suspend or terminate your account and prohibit any and all current or future use of the CruiseBe Service by you. You are responsible for maintaining the confidentiality of the password and account, and are fully responsible for all activities that occur under your account. Your account is meant to be private and you shall not share accounts for any reason. You agree to immediately notify us of any unauthorized use of your password or account or any other breach of security. You agree to be responsible for all charges resulting from the use of your account via the CruiseBe Service, including charges resulting from unauthorized use of your account. You agree to use the CruiseBe Service only for lawful purposes and that you are responsible for your use of and communications and content you may post via the CruiseBe Service. You agree not to post or transmit any unlawful, infringing, threatening, harassing, defamatory, vulgar, obscene, profane, indecent, offensive, hateful or otherwise objectionable material of any kind, including any material that encourages criminal conduct or conduct that would give rise to civil liability, infringes upon others’ intellectual property rights, impersonates any individual or entity, or otherwise violates any applicable law. You agree not to use the CruiseBe Service in any manner that interferes with its normal operation or with any other user’s use of the CruiseBe Service. You may not do any of the following while accessing or using the CruiseBe Service: (i) access, tamper with, or use non-public areas of the CruiseBe Service, our computer systems, or the technical delivery systems of our providers; (ii) probe, scan, or test the vulnerability of any system or network or breach or circumvent any security or authentication measures; (iii) access or search or attempt to access or search the CruiseBe Service by any means other than through our currently available, published interfaces that are provided by us, unless you have been specifically allowed to do so in a separate agreement with us; (iv) forge any TCP/IP packet header or any part of the header information in any email or posting, or in any way use the CruiseBe Service to send altered, deceptive or false source-identifying information; or (v) interfere with, or disrupt, the access of any user, host or network, including, without limitation, sending a virus, overloading, flooding, spamming, mail-bombing the CruiseBe Service, or otherwise creating an undue burden on the CruiseBe Service. You may not use manual or automated software, devices, or other processes to “crawl,” “scrape,” or “spider” any page of the CruiseBe Service. You will not decompile, reverse engineer, or otherwise attempt to obtain the source code of any part of the CruiseBe Service. You further agree that you will not access the CruiseBe Service by any means except through the interface provided by CruiseBe for access to the CruiseBe Service. Creating or maintaining any link from another application to any page at the CruiseBe Service without the prior authorization of CruiseBe is prohibited. Running or displaying the CruiseBe Service, or any information or material displayed via the CruiseBe Service in frames or through similar means on another website or application without the prior authorization of CruiseBe is prohibited. Any permitted links to the CruiseBe Service must comply with all applicable laws, rule and regulations. CruiseBe makes no representation that Materials contained, described or offered via the CruiseBe Service are accurate, appropriate or available for use in jurisdictions outside the United States, or that these Terms of Service comply with the laws of any other country. Visitors who use the CruiseBe Service and reside outside the United States do so on their own initiative and are responsible for compliance with all applicable law. You agree that you will not access the CruiseBe Service from any territory where its contents are illegal, and that you, and not the CruiseBe Parties, are responsible for compliance with applicable law. 7. Content. All Content is the sole responsibility of the person who originated such content. You acknowledge that all Content transmitted or accessed by you using the CruiseBe Service, is at your own risk and you will be solely responsible and liable for any damage or loss to you or any other party resulting therefrom. You remain solely responsible for all Content that you transmit in connection with the CruiseBe Service, and you warrant that you possess all rights necessary to provide such Content. We reserve the right to remove any objectionable Content in our sole discretion. You understand that by providing Content publicly in connection with the CruiseBe Service, you hereby grant us a non-exclusive, worldwide, royalty free, perpetual, irrevocable, sublicenseable and transferable right to fully exploit such Content (including all related intellectual property rights) in connection with our business. For purposes of these Terms of Service, the term “Content” includes, without limitation, any information, text, reviews, videos, audio clips, comments, information, data, photographs, software, scripts, graphics, and interactive features generated, provided, or otherwise made accessible through the CruiseBe Service. PLEASE NOTE THAT, AS STATED ABOVE, THE CRUISEBE SERVICE IS INTENDED TO BE USED TO FACILITATE INDIVIDUALS AND TRAVEL SERVICE PROVIDERS. CRUISEBE CANNOT AND DOES NOT CONTROL THE CONTENT CONTAINED IN ANY LISTINGS AND THE CONDITION, LEGALITY OR SUITABILITY OF ANY TRAVEL SERVICES. CRUISEBE IS NOT RESPONSIBLE FOR AND DISCLAIMS ANY AND ALL LIABILITY RELATED TO ANY AND ALL TRAVEL SERVICES. ACCORDINGLY, ANY BOOKINGS WILL BE MADE OR ACCEPTED AT THE USER'S OWN RISK. 8. Registration on CruiseBe Service. Registration of User-individuals on the website is voluntary, free of charge and takes place pm the CruiseBe Service. Registration of ports, companies, ships, objects on the ships, objects in the ports (e.g. cafes, shops, history places, museums, attractions, nature beauty places, etc.) (Hereinafter referred to as the “Objects”) is conducted by us based on information from open sources, or after a submitted application by the authorized person (the application can be sent via email). After approval and contact with this person, the right of moderation and administration of the Profile will be granted. If the information about the Object is already on the CruiseBe Service, a representative of a legal entity has the right to contact us, the right of moderation and administration of the Profile will be granted. After, a page with information about the Object may receive the status of an official page. The status of the official page is displayed on the page by placing a special character. Registration is free. The user of the CruiseBe Service is as follows: a person who managed the page or a representative of a legal entity on whose behalf the page is registered; individuals who visit the page without registration. Upon registration and approval to access the Object’s profile, the user shall select the category that best suits the type of his/her activity, products, and services. Users shall indicate their real information, company names, contact information. Upon registration, the travel service providers may request additional information. We do not guarantee that the registration will be free all the time. 9. No Endorsement. CruiseBe does not endorse any user or travel service. By using the CruiseBe Service, you agree that any legal remedy or liability that you seek to obtain for actions or omissions of other members or other third parties will be limited to a claim against the particular members or other third parties who caused you harm. You agree not to attempt to impose liability on or seek any legal remedy from CruiseBe with respect to such actions or omissions. 10.1 Special Notice From Travel Service Suppliers. a. 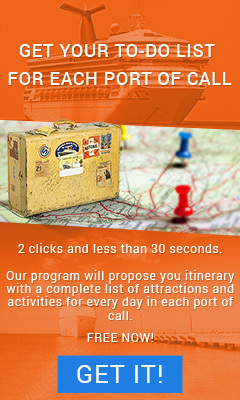 When booking a GUARANTEED (GUAR / GTY / GTE / TBA) cabin, passengers are guaranteed the category booked or a higher category. For example, passengers booking a guaranteed ocean view cabin are guaranteed a cabin with an ocean view. Your cabin may be located on any passenger deck of the ship, but you will be assigned AT LEAST the category for which you paid, or a BETTER category cabin on any deck. b. Most cruise lines now require online registration on their website and offer only Electronic Cruise Tickets (eDocs). Confirmation pending your cruise reservation has been created and is pending a credit card authorization from your credit card provider. We have generated this confirmation in order to confirm the receipt of your booking. Please note, however, that your booking is still subject to cancellation unless payment is processed and successfully received by the cruise line. 11. Termination. You may terminate your use of the CruiseBe Service at any time. You agree that CruiseBe may terminate or suspend your access to all or part of the CruiseBe Service, with or without notice, in our reasonable discretion. CruiseBe reserves the right to modify or discontinue the CruiseBe Service (or any part thereof) with or without notice. Following the termination or cancellation of your subscription to the CruiseBe Service and/or your account, we reserve the right to delete all your data in the normal course of operation. a. CruiseBe does not warrant or guarantee the suitability or availability of any Material or Content, including without limitation any data, products or services, found through the CruiseBe Service. b. CruiseBe does not screen the authenticity or quality of any Material or Content or any provider of Material or Content, including without limitation any data, products or services found through the CruiseBe Service. c. CruiseBe makes no representations or promises regarding any Material or Content, and that many of the Material or Content provided via the CruiseBe Service may be owned or licensed by third parties. d. CruiseBe is not a party to any transaction between you and any provider of products or services via the CruiseBe Service. Any dispute shall be resolved between yourself and the provider of such products or services. e. Any information, including any data, Materials, or Content on the CruiseBe Service, including on any Facebook or Twitter page, are for informational purposes only. f. You assume all risk when using the CruiseBe Service, including all of the risks associated with any online or offline interactions with other users, providers of products and services, and from additional fees or charges from your mobile carrier. g. You are of legal age to form a binding contract or have your parent’s permission to do so, and you are at least 13 years or age or you have the authority of such legal entity to form a binding contract; all registration information you submit is accurate and truthful; you will maintain the accuracy of such information; and you are legally permitted to use and access the CruiseBe Service and take full responsibility for the selection and use of and access to the CruiseBe Service. YOUR USE OF THE CRUISEBE SERVICE IS AT YOUR SOLE RISK. THE CRUISEBE SERVICE AND THE ASSOCIATED MATERIALS AND CONTENT ARE PROVIDED ON AN “AS IS” AND “AS AVAILABLE” BASIS. EXCEPT AS OTHERWISE EXPRESSLY PROVIDED IN THESE TERMS OF SERVICE, CRUISEBE, ITS PARENT, SUBSIDIARY AND OTHER AFFILIATED COMPANIES, AND THEIR RESPECTIVE OFFICERS, DIRECTORS, EMPLOYEES, AGENTS AND OTHER REPRESENTATIVES (COLLECTIVELY, THE “CRUISEBE PARTIES”), EXPRESSLY DISCLAIM ALL WARRANTIES OF ANY KIND, WHETHER EXPRESS OR IMPLIED, INCLUDING, BUT NOT LIMITED TO THE IMPLIED WARRANTIES OF MERCHANTABILITY, FITNESS FOR A PARTICULAR PURPOSE AND NON-INFRINGEMENT. WITHOUT LIMITING THE GENERALITY OF THE FOREGOING, THE CRUISEBE PARTIES MAKE NO WARRANTY THAT: (I) THE CRUISEBE SERVICE WILL MEET YOUR REQUIREMENTS; (II) THE CRUISEBE SERVICE WILL BE UNINTERRUPTED, TIMELY, SECURE, OR ERROR-FREE; (III) INFORMATION THAT MAY BE OBTAINED VIA THE CRUISEBE SERVICE WILL BE ACCURATE OR RELIABLE; (IV) THE QUALITY OF ANY AND ALL PRODUCTS, SERVICES, INFORMATION OR OTHER MATERIAL, INCLUDING ALL MERCHANDISE, GOODS AND SERVICES, OBTAINED OR PURCHASED BY YOU DIRECTLY OR INDIRECTLY THROUGH THE CRUISEBE SERVICE WILL MEET YOUR EXPECTATIONS OR NEEDS; AND (V) ANY ERRORS IN THE CRUISEBE SERVICE WILL BE CORRECTED. THE CRUISEBE PARTIES SHALL NOT UNDER ANY CIRCUMSTANCES BE LIABLE FOR ANY DAMAGES OF ANY KIND ARISING OUT OF, IN CONNECTION WITH OR RELATING TO THE USE OF OR INABILITY TO USE THE CRUISEBE SERVICE, INCLUDING ANY LIABILITY: (I) AS A PUBLISHER OF INFORMATION; (II) FOR ANY INCORRECT OR INACCURATE INFORMATION OR ANY ‘BUG’ OF THE CRUISEBE SERVICE; (III) FOR ANY UNAUTHORIZED ACCESS TO OR DISCLOSURE OF YOUR TRANSMISSIONS OR DATA; (IV) FOR STATEMENTS OR CONDUCT OF ANY THIRD PARTY ON OR VIA THE CRUISEBE SERVICE; (V) FOR ANY DISPUTES BETWEEN USERS OF THE CRUISEBE SERVICE OR BETWEEN A USER OF THE CRUISEBE SERVICE AND A THIRD PARTY; OR (VI) FOR ANY OTHER MATTER RELATING TO THE CRUISEBE SERVICE OR ANY THIRD PARTY. THIS IS A COMPREHENSIVE LIMITATION OF LIABILITY THAT APPLIES TO ALL DAMAGES OF ANY KIND, INCLUDING ANY DIRECT, INDIRECT, SPECIAL, INCIDENTAL OR CONSEQUENTIAL DAMAGES, WHETHER BASED ON BREACH OF CONTRACT, BREACH OF WARRANTY, TORT (INCLUDING NEGLIGENCE), PRODUCT LIABILITY OR OTHERWISE, EVEN IF AN INDIVIDUAL ADVISES THE CRUISEBE PARTIES OF THE POSSIBILITY OF SUCH DAMAGES. THE LIMITATIONS OF LIABILITY SET FORTH HEREIN ARE FUNDAMENTAL ELEMENTS OF THE BASIS OF THE BARGAIN BETWEEN CRUISEBE AND YOU. THE PRODUCTS, INFORMATION AND SERVICES OFFERED ON AND THROUGH THE CRUISEBE SERVICE WOULD NOT BE PROVIDED TO YOU WITHOUT SUCH LIMITATIONS. NOTWITHSTANDING THE FOREGOING, THE SOLE AND ENTIRE MAXIMUM LIABILITY OF THE CRUISEBE PARTIES FOR ANY REASON, AND YOUR SOLE AND EXCLUSIVE REMEDY FOR ANY CAUSE OR CLAIM WHATSOEVER, SHALL BE LIMITED TO THE CHARGES PAID BY YOU DIRECTLY TO CRUISEBE VIA THE CRUISEBE SERVICE FOR SERVICES PROVIDED SOLELY AND DIRECTLY BY CRUISEBE TO YOU IN THE SIX MONTHS PRIOR TO SUCH CAUSE OR CLAIM. 14. Indemnification. You agree to indemnify, defend and hold harmless the CruiseBe Parties against all claims, demands, causes of action, losses, expenses, damages and costs (including any reasonable attorneys’ fees), resulting or arising from or relating to your use of the CruiseBe Service, any activity related to your account by you or any other person permitted by you, any Content that you submit to, post on or transmit through the CruiseBe Service, your breach of these Terms of Service, your infringement or violation of any rights of another, or termination of your access to the CruiseBe Service. We reserve the right to assume, at our sole expense, the exclusive defense and control of any such claim or action and all negotiations for settlement or compromise, and you agree to fully cooperate with us in the defense of any such claim, action, settlement or compromise negotiations, as requested by us. 15. Applicable Law and Jurisdiction. Your use of the CruiseBe Service is governed by and will be enforced under the laws of the State of Texas without regard to its conflict of law provisions. You agree to submit to the personal and exclusive jurisdiction of the courts located within Dallas, Texas. You agree that printed copies of any and all agreements and/or notices in electronic form are admissible in any legal or regulatory proceedings. Any controversy, claim, suit, injury or damage arising from or in any way related to the CruiseBe Service or these Terms of Service shall be settled by binding arbitration in accordance with the commercial arbitration rules of the American Arbitration Association then in effect and before a single arbitrator chosen by CruiseBe. Any such controversy, claim, suit, injury or damage shall be arbitrated on an individual basis, and shall not be consolidated in any arbitration with any controversy, claim, suit, injury or damage of any other party. CruiseBe may seek any interim or preliminary relief from a court of competent jurisdiction in Dallas, Texas necessary to protect its rights pending the completion of arbitration. Each party shall assume its own costs of arbitration. IN ANY CLAIM, ACTION OR PROCEEDING TO ENFORCE ANY RIGHT OR OBLIGATION OF THE PARTIES UNDER THE TERMS OF SERVICE INCLUDING, WITHOUT LIMITATION, RELATING TO YOUR USE OF THE CRUISEBE SERVICE, YOU HEREBY WAIVE ANY RIGHT YOU MAY NOW HAVE OR HEREAFTER POSSESS TO A TRIAL BY JURY. c. Information describing where the allegedly infringing material is located on the CruiseBe Service. Copyright Agent – CruiseBe Inc.
17. U.S. Export Controls. The CruiseBe Service may be subject to United States export controls. No part of the CruiseBe Service may be exported or re-exported into any country to which the U.S. has embargoed goods or to anyone on the U.S. Treasury Department’s list of Specially Designated Nationals or the U.S. Commerce Department’s Table of Deny Orders. By using the CruiseBe Service, you represent and warrant that you are not located in, under the control of, or a national or resident of any such country or on any such list. 18. Miscellaneous. These Terms of Service constitute the entire agreement between CruiseBe and each user of the CruiseBe Service with respect to the subject matter of these Terms of Service. The failure of the CruiseBe Parties to insist upon strict adherence to any term of these Terms of Service shall not constitute a waiver of such term and shall not be considered a waiver or limit that party’s right thereafter to insist upon strict adherence to that term or any other term contained in these Terms of Service. You may not assign your obligations or rights hereunder to another entity or individual. We may transfer, assign or delegate these Terms of Service and its rights and obligations without your consent. No action arising out of these Terms of Service or your use of the CruiseBe Service, regardless of form or the basis of the claim, may be brought by you more than one (1) year after the cause of action has arisen (or if multiple causes, from the date the first such cause arose). 19. Customer Service. If you have any comments or questions regarding these Terms of Service, or wish to report any violation of these Terms of Service, you may contact us at admin@cruisebe.com.